I just figured out I never did give the LXDE desktop paired with Ubuntu a proper review. We did have several stabs at Kubuntu, Ubuntu with Gnome classic and Unity, even the Xfce-flavored Xubuntu, but not this one. Now that it is officially endorsed by the company shipping the most popular Linux distro, it's time to dig in and see whether Lubuntu can deliver the missing zen lost in the Gnome 2 and Unity guard change. Lubuntu is supposed to be a simple, lightweight alternative to heavier, more fully featured desktops, so it seems like a logical choice for older hardware. But then, all my past experience shows that these dietary environments are always lacking in something, never quite as good as the top two or perhaps top three desktops. And there's the matter of spotlight and quality assurance. 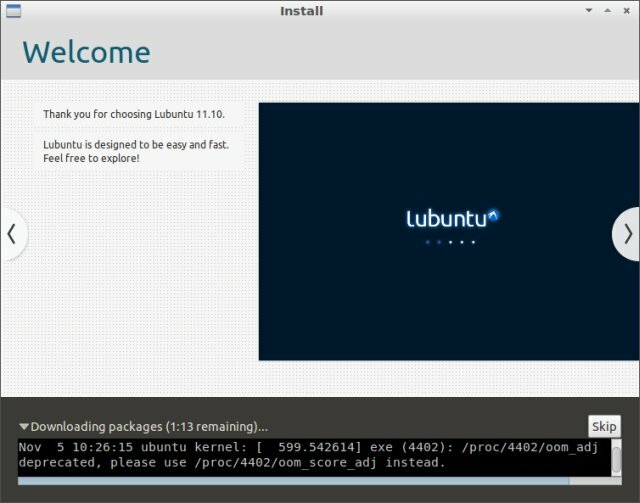 That said, maybe Lubuntu can deliver? I remember playing with LXDE in my Knoppix and Vector reviews. On Adriane, the experience was quite good, twined with powerful desktop effects in the live session. 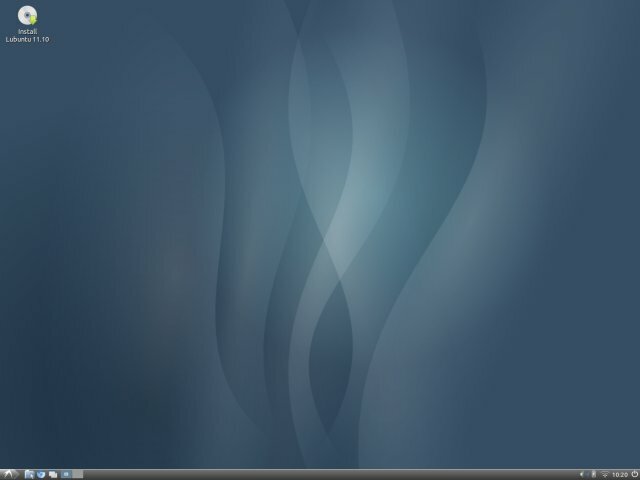 On Vector, it was more spartan, combining elements from the Xfce4 environment, creating a somewhat jumbled end result. Lubuntu comes with a clean and rather friendly desktop. 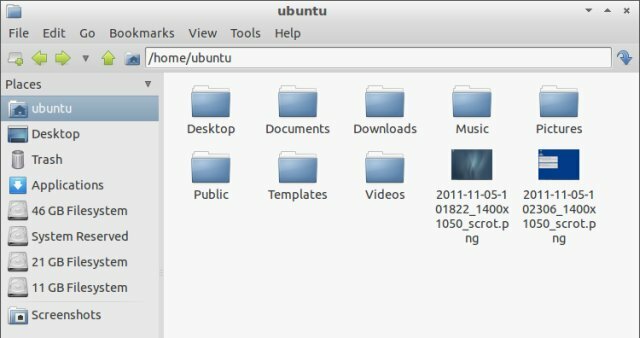 It's minimalistic and quite aesthetic, which could please people yearning for the return of Gnome 2 into the Ubuntu world. There's some similarity to Lucid, although the panel is located at the bottom, more akin to KDE and Windows layouts. Wireless worked fine. Bluetooth is disabled by default. Samba sharing also worked, including the ability to bookmark network locations, simplifying LAN usage with multiple machines and operating systems. However, Samba share contents are not automatically refreshed inside the file manager. If you try to refresh them, you will cause the desktop environment to hiccup and crash. When this happens, the file manager will die, your desktop wallpaper will be gone and you will get untrusted application warnings, preventing you from using your programs. This can be resolved by logging out and logging back in. Weird and disappointing. Ignoring the Samba-triggered crash, which is, by the way, fully repeatable every time, including after the installation, Lubuntu looks rather nice. 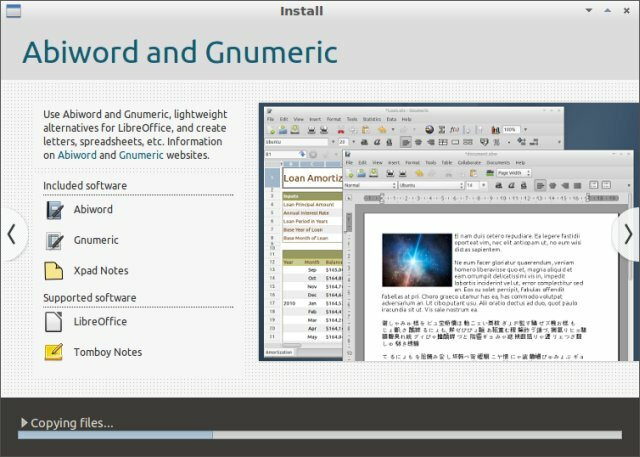 The default theme is simple, dominated by soft gray colors, similar to Linux Mint. The fonts are clear and sharp. You have several wallpapers available, as well as some 17,000 themes and windows decorations, although none are as good as the stock choice. And there was little else I could do right now. We'll check the apps later, especially the multimedia part. Desktop effects are out of the question. And basically, that covers this part of the review. The installation was not problem-free either. 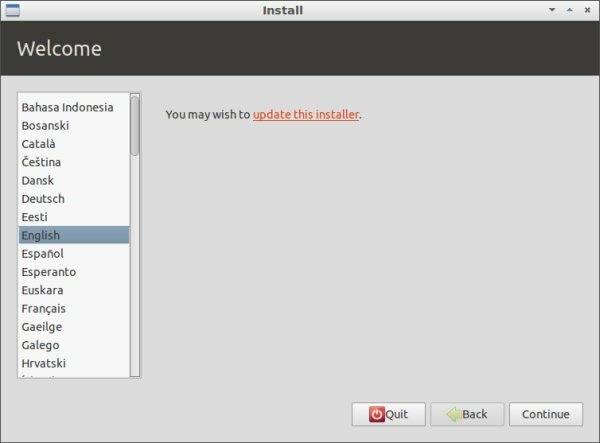 On the first start, I noticed a message informing me that I could update the installer. I clicked there, nothing happened, and then the installer froze and had to be hard killed from the command line. Apart from this glitch, the installation was identical to every other Ubuntu installation. 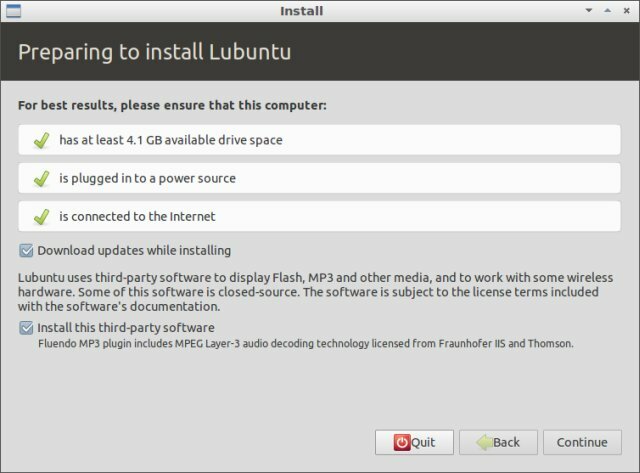 You can choose to install updates and proprietary software, so you will have Flash and MP3 codecs after the setup is complete, a partition scheme that opts to install Ubuntu side-by-side with whatever is on the disk, plus a somewhat bland slideshow that is not as exciting or powerful as the Ubuntu one, making you feel you're running a second choice distro. There were no visible errors, however some did show up when I expanded the Details pane, as the installation seemed stuck at several points, with no visible indication of progress. I'm still wondering about the pcmanfm segfault and the oom_score deprecated use warning, but I did not explore any further. Eventually, Lubuntu installed fine side-by-side with Windows 8 in a dual-boot configuration. Then, a quite reboot and we were on our way into the installed system. The boot sequence in this distro is somewhat puzzling. Initially, there's a black screen, with occasionally a flicker of green or blue, and then you get the standard high-resolution splash. The overall boot time is not significantly shorter than counterparts, if at all, despite what I read online. The Wireless configuration was preserved. However, the system tray icons order was not, with the battery meter and the Wi-fi antenna trading places. This brought the radio signal bar fan in contact with the volume sound bars, creating an unholy joining of pixels. You also get notifications, that show up in the top right corner on a black background that is not well visible on the default desktop, plus a notification icon crops into the system tray. But then, it shows in random places between the selected icons, eventually causing the ones to the left to be pushed out. When you close the notifications, the displaced icons do not move back, which creates an ugly effect. Moreover, managing the system tray and the shortcut-like section of the panel on the left side is not trivial. You need to right-click, choose to edit the settings and then add/remove new items from the system menu and shuffle them around as you see fit. Lubuntu Oneiric Ocelot comes with a modest selection of programs, but it is fairly functional if not exciting. 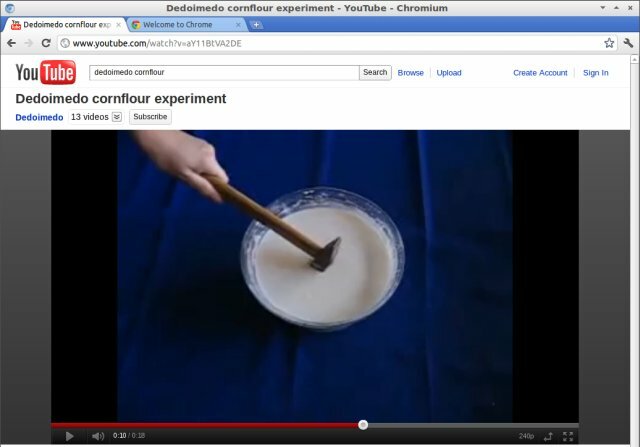 You get Chromium, Pidgin, Gnumeric, Abiword, MPlayer, Audacious, some games, and several more. 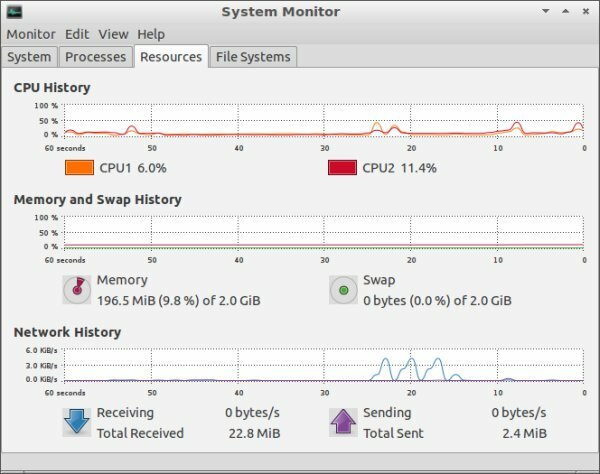 There's no GUI screenshot utility or the system monitor, so I had to install these using the Synaptic package manager. 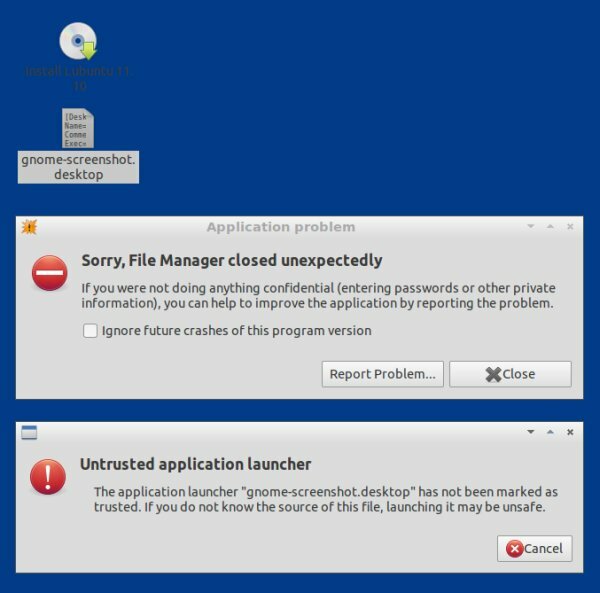 On the bright side, Gnome integration is decent, so you will only need to download a handful of dependencies rather than a whole Gnome tree of utilities and libraries. 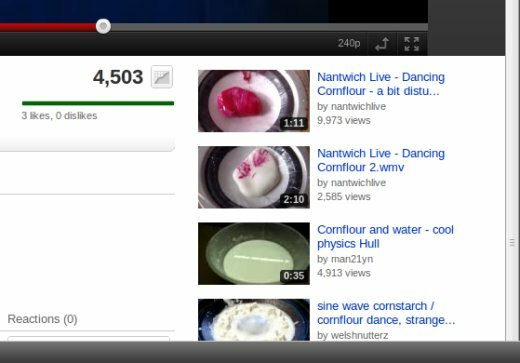 This worked fine, including the live session, where I needed a decent screenshot tool for the review. On the not so bright side, some of the programs cannot be vertically resized, it seems. For example, Chromium spanned the entire height of the desktop and even a little more than that, so I could not really resize it properly, plus the scroll arrow was sliced or even missing. 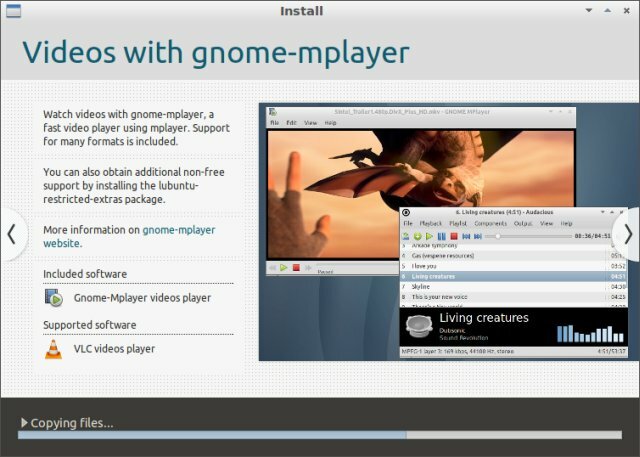 If you choose to install the third-party software, you will have MP3 and Flash out of the box. Both worked just fine. Audacious lets you switch the view to a classic Winamp look if you want. Lubuntu is a very lean distro when it comes to system resources. It causes little to no CPU activity on idle, less than most counterparts, and the memory usage is about 180MB idle. This sounds good, but it's nothing phenomenal. I recall Debian doing the same, as well as CentOS, both armed with Gnome 2. Moreover, the saving of about 120MB compared to the flagship Oneiric release, 32-bit, is a lot in percentage but not that much in absolute figures. The more important parts here are the CPU work and responsiveness. 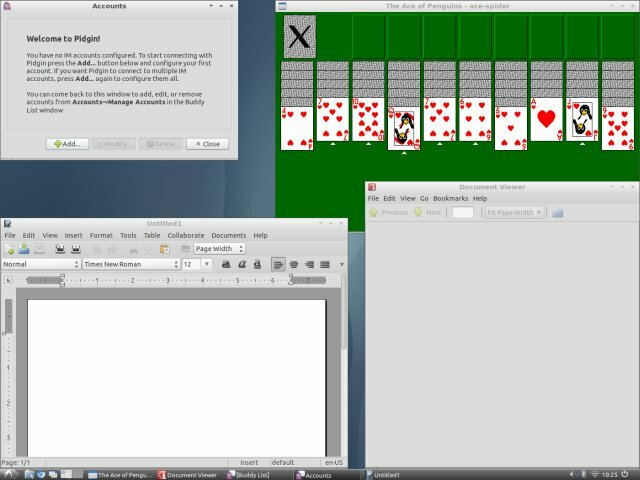 In this regard, Lubuntu 11.10 is a fairly tame machine, but the user experience is just as quick and snappy as the regular Unity on the same hardware. Perhaps you can start to feel the difference on extremely old machines, but not in my test case. Suspend & resume worked well, although you wake up to a super-ugly and completely unintegrated screensaver lock, which looks something from the last century. There were no crashes, apart from the fully repeatable Samba share refresh. This is another interesting item. Given the reduced CPU activity and leaner memory usage, plus the fact you run without any desktop effects and with Bluetooth disabled, you would expected the battery life to be quite long and maybe even longer than Ocelot Unity. Wrong. For some reason, Lubuntu is under-optimized for my test box, a T60p beastling. First of all, probably due to bad boot settings or missing modules or whatever, ACPI functionality is crippled. None of the laptop hotkeys worked, including volume, brightness, suspend button, or others. There's no power savings regime available either. All combined, this results in a battery life that is only about 3 hours, a whole 40% less than what Oneiric manages with Unity. 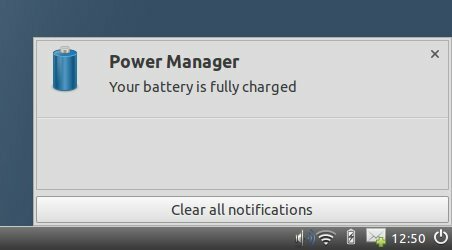 Even if we take into account all kinds of inaccuracies, like the non-linear battery drain, system usage, momentary spikes, screen brightness, etc, all in all, Lubuntu grants a whole one hour less than its flagship counterpart, if not more. This is quite disappointing. I left the system to drain its battery, to make sure my assumption was true, and it was. Lubuntu continued displaying screensavers, it never dimmed or turned off the monitor to conserve power, and it never went to sleep like almost every other distro does in the battery mode. And let's not forget the displaced Wireless icon or the bad gray-on-gray integration in the system monitor window. You really start getting annoyed at this point. On top of all the things mentioned before, there were several more issues. If you want to reconfigure your desktop, in the best fashion of less popular desktop environments, you have several separate menus for that. It's quite confusing. Then, there are lots of references of Xfce, which make you feel as if this is some kind of a hybrid desktop trying to please everyone. This is quite apparent when you start playing with themes and windows decorations. But the abundance only leaves you with a bad taste. I could not find a way to disable/enable the Touchpad functionality, even though the driver was installed. I also looked for various GUI tools to do that, but could not find anything that really worked. When running system updates, my custom wallpaper was reverted back to the original background the distro ships with. This was resolved by a reboot. There were a few other small items, but I can't be bothered to write them. Lubuntu is meant to offer a valid alternative to the heavier KDE and Unity flavors. It tries bravely and fails heroically. The only advantage is the somewhat reduced system resource usage, but it is more than triply negatively compensated by the drawbacks of the desktop environment as well as the incomplete integration. Then, there you have Samba-related crashes, no laptop hotkeys, jumbled system tray icons, low battery life. If you want to be really mean, you could add the lack of customization, an average software arsenal, and a dozen other smaller things that get in the way. Time and again, I find myself wondering about the market validity of the less standard desktops, as they usually bring in a whole range of problems that affect the underlying system. Someone trying Lubuntu might feel that Oneiric is a bad product with lots of issues and bugs, but all of these are entirely related to the this specific edition and have nothing to do with the original work, as my experience with Ubuntu 11.10 was fairly flawless. And the whole low-diet old-hardware-revival story is overplayed. All in all, Lubuntu could work for you, but it's not exciting or spectacular in any way and packages a handsome bag of problems that you can easily avoid by using the main release. In fact, with Unity 2D, personal taste aside, you will probably manage identical if not better results on the same hardware. I would not recommend this edition, but if you must, then be ready to handle some nasty old-school tricks. Grade: 6/10.